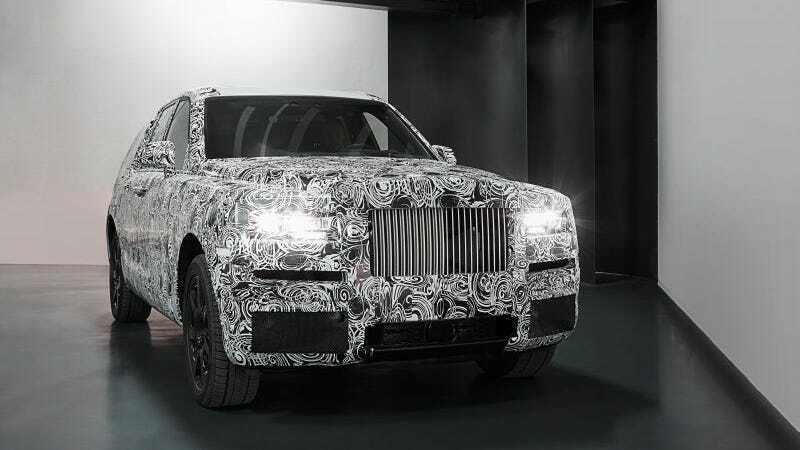 Whether you like it or not, the Rolls-Royce Cullinan is coming. Just don’t call it an SUV. And don’t compare it to a (gross and lowly) Bentley Bentayga. At least, not when Rolls-Royce CEO Torsten Mueller-Oetvoes is standing next to you. The Cullinan will be built on the new aluminum platform that debuted with the new Phantom, instead of sharing one with BMW. The thing is, the camouflaged mules kind of look like Bentaygas? And honestly, who cares what platform it’s riding on as long as it’s good?